With todays Patch there were two quests added. 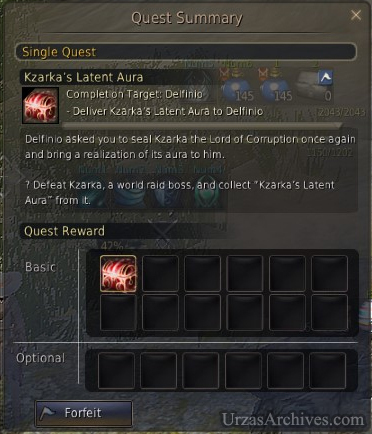 The Kzarka Weapon Box Quest and the Dandelion Weapon Box Quest. Both Quests require you to kill the according Boss. As result you will be granted a Weapon Box. Imporant: You have to drop a RNG item from the boss 100 times in order to complete this quests! 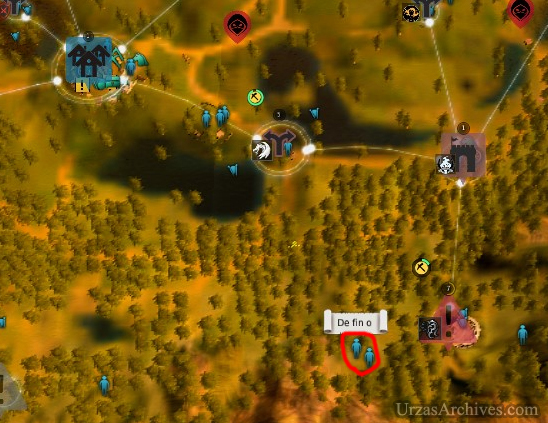 You can drop that item without having the actual Quest! 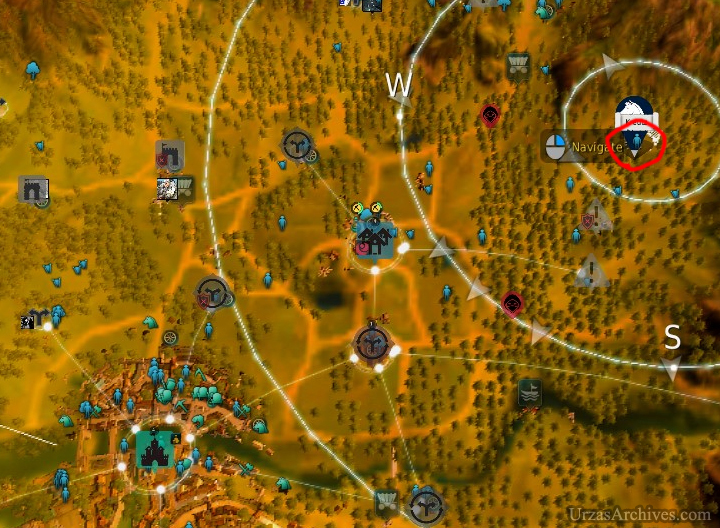 The Kzarka Quest can be found at the Node Manager at the Serendia Shrine. 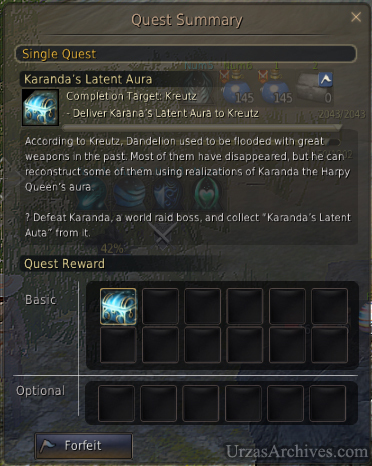 The Karanda Quest can be found at Kreutz, an NPC in front of the Delphe Outpost. Good Look getting those Drops!